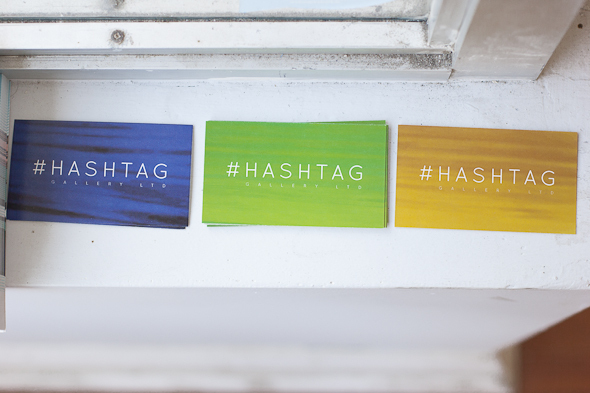 Hashtag Gallery is the one of the latest entries to what has gradually become the arts-rich strip of Dundas West. 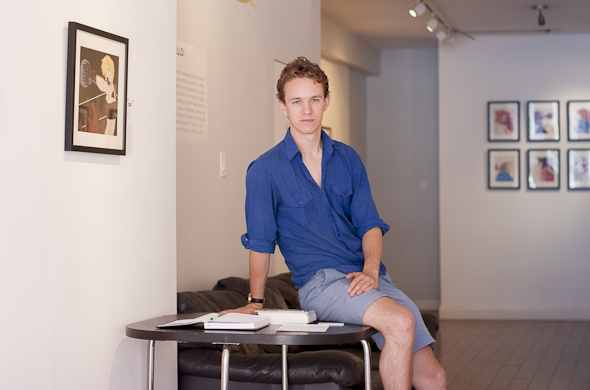 Founded by Graeme Luey, Johnny Hollick and Charlie Jurczynski last April, the goal is to provide talented young artists with a proper venue to display their work, in the hopes of avoiding the typical post-art school barista grind. For Graeme, the idea is to "help people who want to help themselves." Thus, talented artists of any age and medium are welcome to display at Hashtag. Graeme hopes to promote the best of the city's illustrators, painters, and photographers, while giving no special preference beyond the skill of the artist. 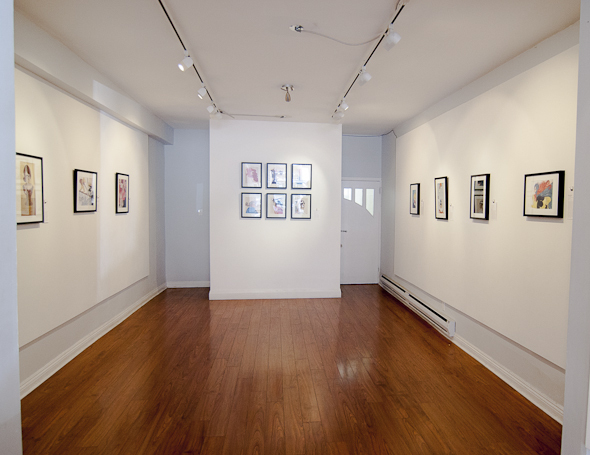 This commitment to diversity is evident with their most recent show, appropriately titled "Art!," which featured the work of 10 emerging artists from the Gutterbird collective . Graeme is easily one of the least-pretentious gallery owners I've had the privilege of meeting, as he eagerly recounted his disappointment with the way one the mounted pieces was initially submitted to him, "like an elementary school project or something." It's clear that accessibility is a priority for the gallery. By naming itself after the Twitter symbol, Hashtag pays tribute to the influence of social media and seeks to give "these living, online communities a touchstone in the Toronto contemporary art world." Thus, while the owners may eschew the art-party scene, they still hosts some great events intended to bring the artistic community together. A monthly life-drawing night is currently running, with both male and female models and a $5 suggested donation. They also run #CREATE, an innovative biweekly PWYC session where attendees bring whatever creative endeavor they're currently working on and collaborate within the gallery space. Past projects have included paintings, music, and even a website. Perhaps the biggest way that Hashtag distinguishes itself from the majority of Toronto's contemporary art galleries is with its late-night availability. Open most evenings until 10pm, Hashtag positions itself as a place one can stop in after dinner or drinks and view some great art, a rarity in a city where most galleries keep fewer hours than a bank.But don't be fooled, Hashtag takes its role as a gallery very seriously. While Graeme is excited about the creative events they have planned, he frequently stresses that the space is a not a party venue. As "first and foremost a gallery," Hashtag aspires to be a major source for contemporary art in the city, one that can provide its artists with a great opportunity for exposure among serious buyers. It's just a matter of getting these buyers in the door. Now that they've joined the neighbourhood, Hashtag hopes to work with other galleries to help promote Dundas as a cultural centre. Though despite all the recent development, Graeme admits that there still "isn't a lot of foot traffic, especially the type who'll come in a buy a $2,000 painting." And while he's committed to establishing Dundas' art scene, Graeme also assures me that Hashtag's mandate can succeed should they have to find another neighbourhood. "I'll keep going in different locations, whether it's here or elsewhere." 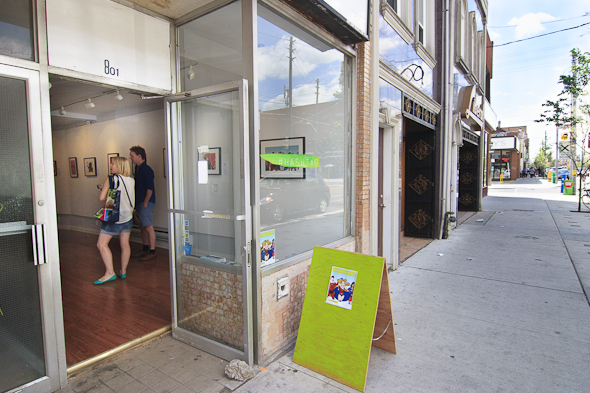 Hashtag Gallery is open 4-10pm Tuesdays to Fridays, 12-8pm Saturdays, and 12-6pm Sundays. 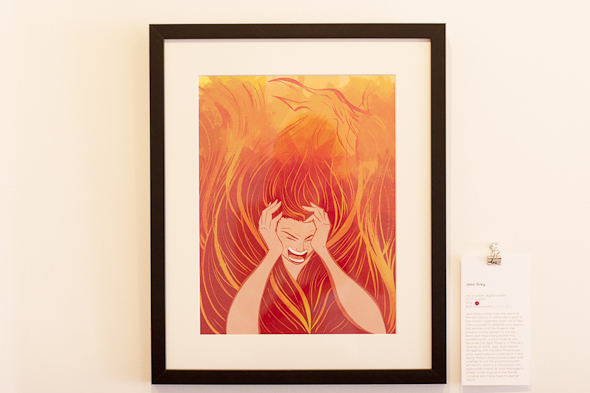 An exploration into the art and transformation of grief and loss.